Years of professional craftsmanship have resulted in over four decades of success for Colonial Art. True works of art in iron are crafted from the hands of Gerardo Rivera. 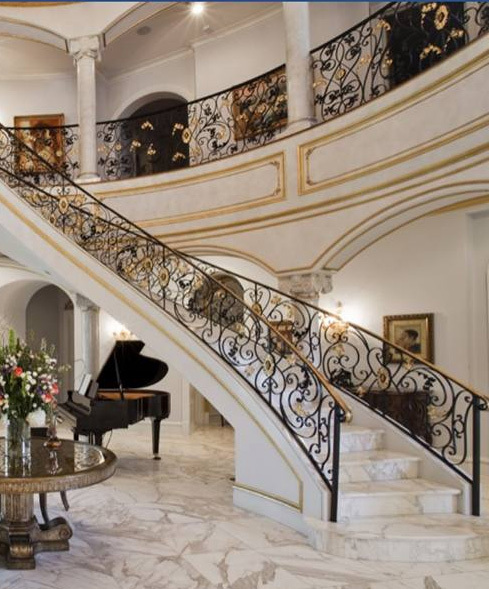 Many kinds of functional and decorative iron designs are available including, bronzed handrails, antique reproductions, faux-finishing, curved and spiral staircases, wrought iron railing ,driveway gates, fences , iron doors ,hand forged scrolls, furniture, and much more. Chances are if you can think of it the craftsmen and artisans at Colonial Art can create it. Along with beautiful works of art, clients have come to know a degree of customer service that is second-to-none. No doubt this is one of the reasons that Colonial Art is now celebrating its 5th decade in business – A family tradition since 1958.